A FATEFUL incident that happened almost two years ago left Reymark Simbulan with a temporary handicap. In a bout with overpowering tendencies to end his life, Reymark jumped from his condominium unit on the 17th floor. While his life has never been the same since then, the repercussions of the episode turned out to be a way for him to fully embrace and accept himself. 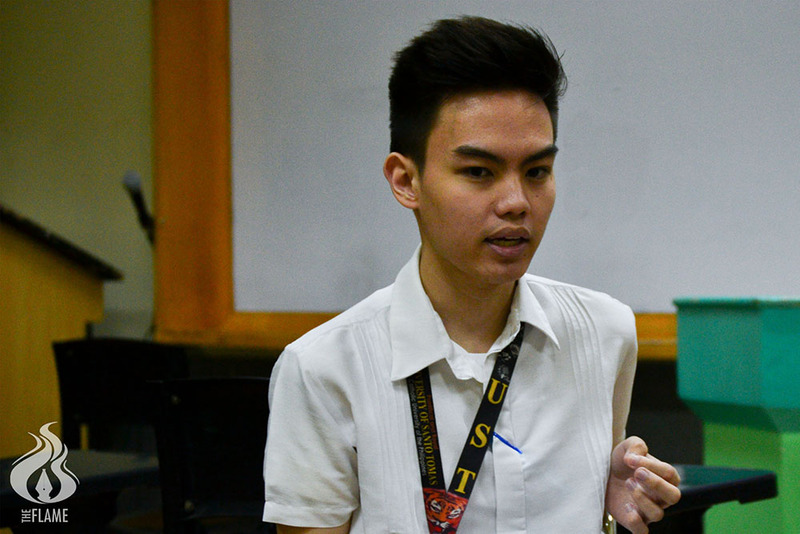 The former Artlet Student Council president calls the process of recovery a “war”—it does not come without sacrifices, and it is a series of battles that he needs to overcome one by one to become stronger and more resilient. Reymark also says that although he had to give up certain goals like bagging Latin honors and being able to play sports, the setback has not stopped him from moving forward. “I can’t really say that I have fully moved on from what happened, pero I think of that as a good thing kasi it’s a constant reminder to myself na that’s what I did; it happened [with] its repercussions and I’m living my life for the better,” he explains. Reymark shares that seeking professional help allowed him to have a safe space to share his problems after the incident. The political science major also credits a crucial part of his recovery to his family, who had an aloof relationship with him before the incident, because they have gone out of their way since to be more expressive about their affection for him. “It made me realize how people might not show physically or obviously how they care pero they really do,” he says fondly. 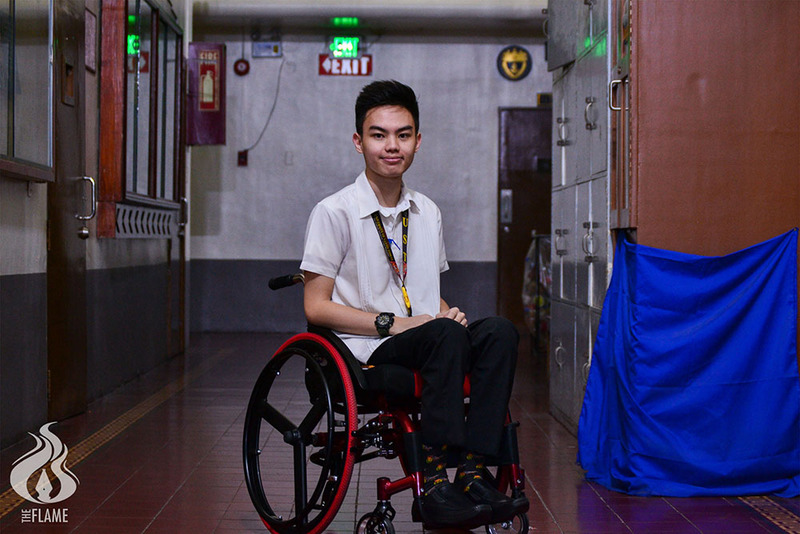 Reymark shares that his family has developed a deeper bond with each other and have become more aware and supportive of issues like mental health, people with disabilities, and gender equality through him. “You try to feed them bits and pieces lang at first and you try to tell them na, ‘Hindi naman po baliw kapag nalulungkot, kapag ganito na-experience niya, wala naman po sira sa ulo niya, hindi naman po makasalanan ‘yan kapag ganito [ang] ginagawa niya,’ kasi they tended to generalize about those [before],” he recounts. Along his road to recovery, Reymark became an active mental health advocate, starting with an interview about his incident for Senator Risa Hontiveros, a prime mover of the mental health bill in the Philippines. For the advocate, mental health disorders should neither be glorified nor stigmatized; people simply need to be open and sensitive to issues and topics that will lead the way toward being informed about the needs of people battling mental illnesses. “I attend seminars because if I don’t, that means I’m adding stigma to the topic. So when I go there, it’s as if I’m helping in my own way to eliminate the stigma kasi if I’m too scared to talk about it and I experienced it myself, then it means that I’m ashamed of it,” he adds. Although Reymark has yet to fully recover, he does his part by sharing his story to encourage people undergoing the same experiences to speak as well and to remind others that one should not easily assume the state of a person’s mental health by face value. “It can happen to anyone. It can happen to those who you think are living the life like what other people might consider I was living and still, I attempted it, so I guess it should teach people to be more sensitive about what other people may think and feel in some scenarios,” he explains. A typically overlooked fact about mental health for Reymark is that it affects almost all aspects of one’s being: their physical, emotional, and even social health. “People treat mental illness as something na nandoon lang siya, confined lang siya sa mental sphere, and that’s something na dapat nilang pag-isipan pa and research more about kasi it could really affect your totality as a person,” he states. For the mental health advocate, it also follows that one should appreciate and value their mental health as much as their physical health. The same goes for the process of healing, which takes time and is not always a linear process. “Kapag nabalian ka ba ng kamay, kinabukasan ba gagaling na ‘yun? ‘Di ba, hindi? Kasi just like physical health, mental health needs time to heal and you should treat it accordingly din in a way that you give it importance,” he says. Reymark has come a long way since the incident. Among the many realizations he has had, he wants to impart to the community the importance and healing effect of conversing and sharing with others what you have in mind.